But I also want to provide an overview of a larger City wide initiative underway that is very positive. This past July, the City of Winnipeg issued $150,000 to establish recommendations for the creation of a Community Safety Strategic Action Plan to promote the development of healthy, crime-free neighbourhoods in Winnipeg. It will be plan enabling the City and citizents to affect real change. It is anticipate the study and recommendation will be completed late fall 2019. I am very supportive of this effort and will keep you updated as I know more. make recommendations for the establishment of a new or restructured Winnipeg community safety and wellbeing policy as well as a permanent municipal body to lead community safety stakeholder collaboration and provide direct or indirect support for stakeholders in Winnipeg. 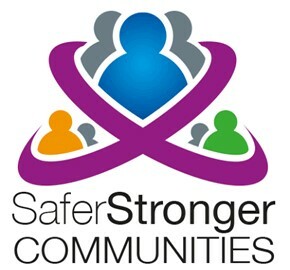 Although the LiveSAFE policy is often referred to in the course of general civic administration and through the development of new community safety-based programs and services, the policy itself has not directed the creation of a broad, civic led foundation for collaboration in Winnipeg due to a lack of sufficient policy supports (i.e. human and funding resource infrastructure). The principles that form the basis ofLiveSAFE in general remain valid, but the creation and endorsement by Council of a restructured municipal community safety and wellbeing policy that clarifies roles, strengthens the framework for regulating municipal community safety activities is required. Through this process of reviewing and making recommendations, the City is seeking to create the proper foundation to ensure that the policy is supported by the necessary municipal resources to safeguard long-term sustainability and is able to affect real change. (xix) Proactive Neighbourhood Liveability By-law Sweeps.